A large patch of nearly 7GB went out today for NBA 2K19. 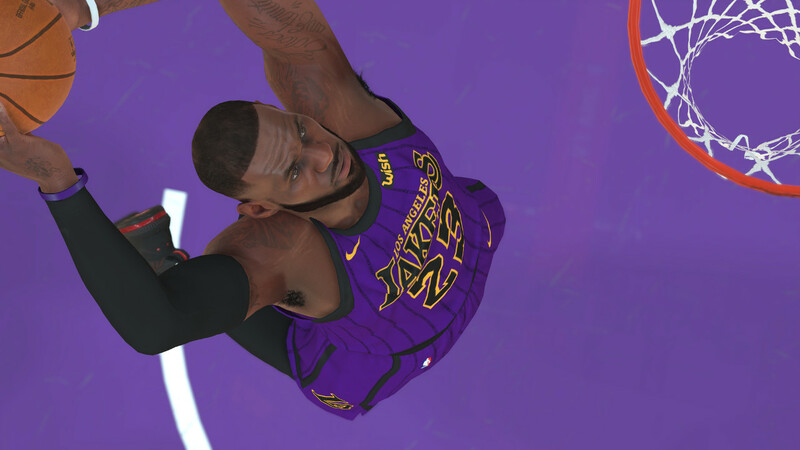 This amounts to the fourth post-release update of substance for NBA 2K19, with the last one having primarily focused on a number of fixes, and earlier updates that delivered gameplay adjustments and the new shot clock rule while also having addressed critical issues that immediately followed release. This update is headlined by new uniforms being pushed into modes where saves were created prior to their additions. Previously that content had been tied to roster updates. After limited testing however it’s unclear whether it is working as intended at this time. ♦The latest uniform and shoe updates will now automatically update in your MyCAREER/MyLEAGUE/MyGM saves. ♦Updated action photos for players who did not have one / had one from their previous team. ♦A number of players have received new Face/Hair/Tattoo updates. ♦Reduced the frequency of shooters falling to the floor when shooting shots in traffic. ♦Fixed an issue that was causing illegal screens to be called in inappropriate circumstances. ♦The All-Star game should now properly appear on the schedule for the current season when starting a new Start Today mode. ♦Users are now able to schedule practices in the first season of a Start Today mode (fixes the case where players would experience declining ratings after the first season). ♦Fixed an issue where some users were reporting game disconnects during timeouts of MyLEAGUE Online games. ♦Addressed a case where some users reported being unable to play with/against their friends in MyLEAGUE Online. ♦Setting your MyCOURT to ‘by permission only’ will now allow others in once proper permission has been granted. ♦Users who reach the highest level shoe endorsement will no longer need to purchase their custom created On-COURT shoes. ♦Entering the MyCOURT on a skateboard/bicycle/etc. will no longer restrict the user from immediately leaving the MyCOURT should they choose to do so. ♦New support for showing current POTM card on the MyTEAM Unlimited menu tile. ♦Fixed an issue where the color of a card would not upgrade to the next tier in the Lineups menu when the card was paired with its Duo partner.